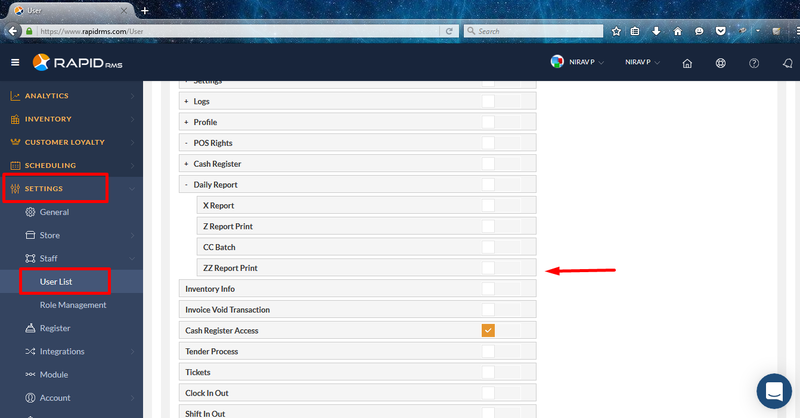 How to apply ZZ report print right ? This right is for applying ZZ in daily report module. Setting -> staff -> user list -> open user in edit mode -> open user rights tab -> POS rights -> Cash register right -> Daily report -> ZZ report print. When ZZ report is selected then user is allow to apply ZZ print in daily report. 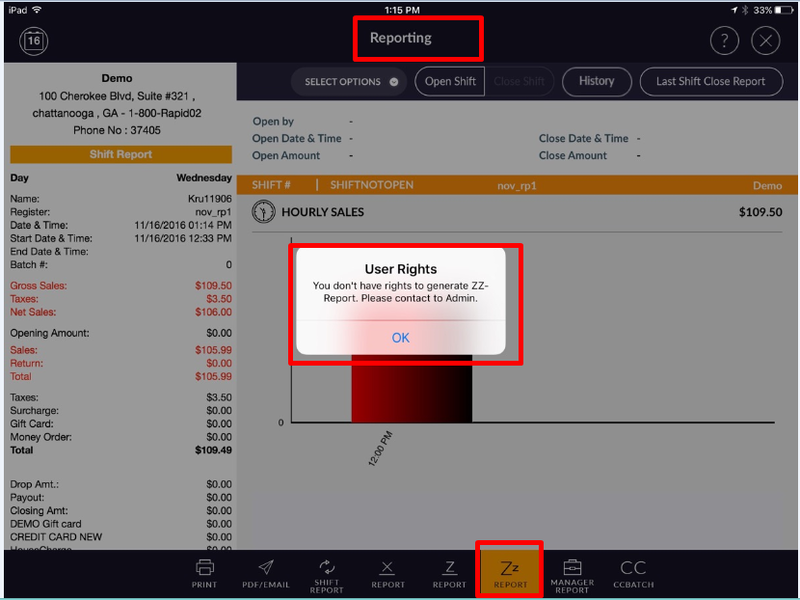 When in user option for ZZ report print is enable then user is not allow to print ZZ report in IOS application in daily report.